Technology abounds with a plethora of alphabet-soup acronyms that boil down to a lot of electronic controls that bridle the scary power of the F4 RR from MV Agusta. (You may not be scared, but someone who loves you will be terrified.) Among them are eight-level traction control, electronically-assisted shift and ABS along with ride-by-wire and four engine maps that control throttle sensitivity, torque, braking, the rev limiter and engine response so you can dial in the controls specifically to suit you and your riding conditions. Continue reading for my review of the MV Agusta F4 RR. 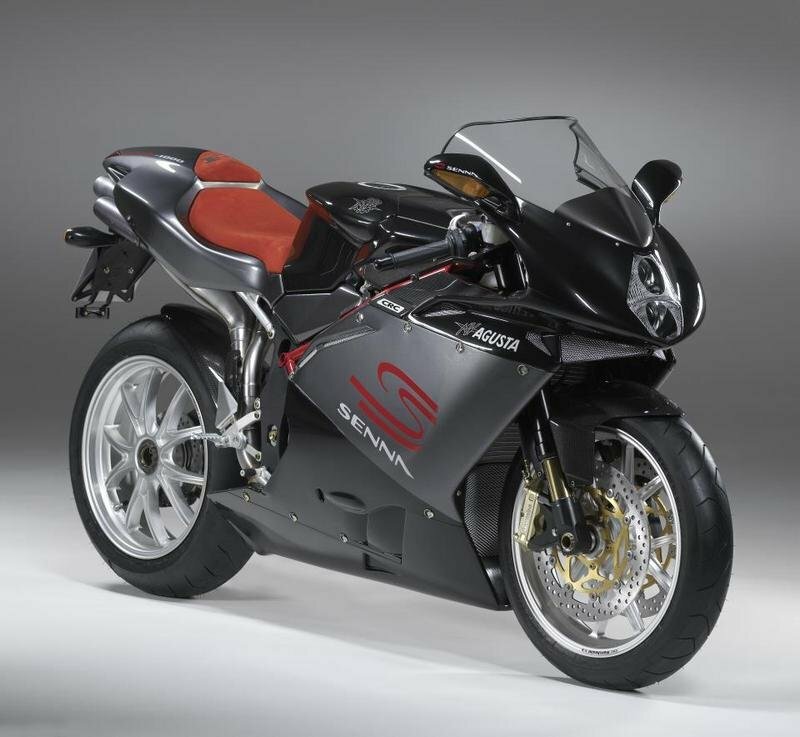 A Superbike Tribute To "The World’s Best-Looking Bike"
Tribute pieces frequently pay homage to a particular year-model or perhaps a certain race, but MV Agusta’s F4 “Claudio” is a piece of art that doubles as a mobile shrine to its designer; Claudio Castiglioni. The factory used the F4 as a platform for a whole host of ’luxe aesthetics that brush up the looks; no mean feat for a bike called “the world’s best-looking bike” back in ’97. This machine is far from all-show/no-go. It comes with track-capable power and the electronics you’ll need to keep it all under control. It’s truly a spectacular specimen, but don’t take my word for it, read on and let me convince you. 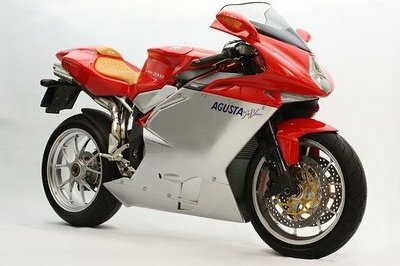 Continue reading for my review of the MV Agusta F4 Claudio. 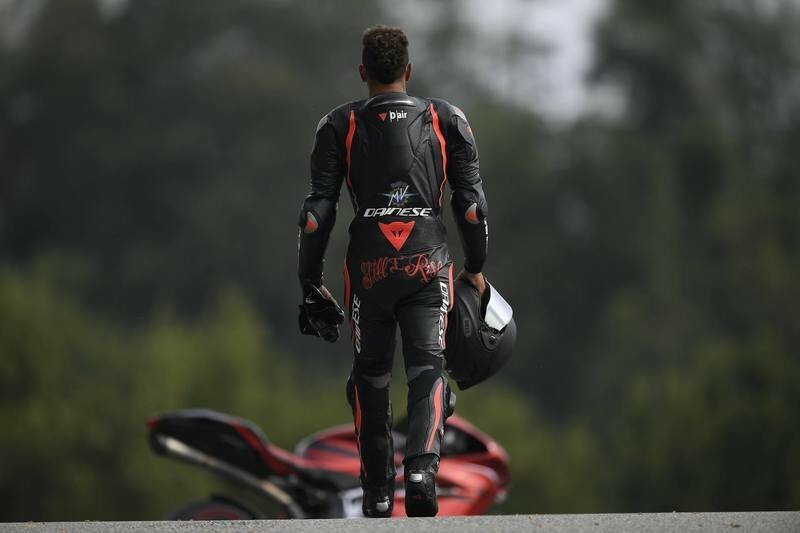 Lewis Hamilton rides the MV Agusta F4 LH44. 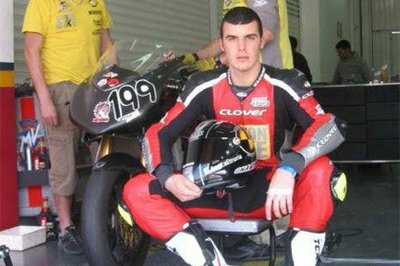 His first superbike circuit experience. The Formula One champion rides to celebrate the 20th Anniversary of the F4 superbike. We all know what Lewis Hamilton is capable with his Mercedes F1 W08 EQ Power+ on the Formula One circuits around the world. Already amassing 306 points this calendar season, Hamilton is leading the championship with a cool 59 points and is on the path to get his 4th World Championship title. This time, the champ is going blazing around the Pirelli Proving Ground (Vizzola Ticino, Italy) circuit, but not in his W08 car. He is wearing a suit and a helmet, yes, but instead of getting into a confined cockpit he throws a leg over a two-wheeled Italian beauty he helped create, the MV Agusta F4 LH44. After the Dragster RR LH, the Formula One champion throws a leg over another Italian beauty on two wheels to celebrate the 20th Anniversary of the F4. Till what limit can the art on two wheels be extended to? 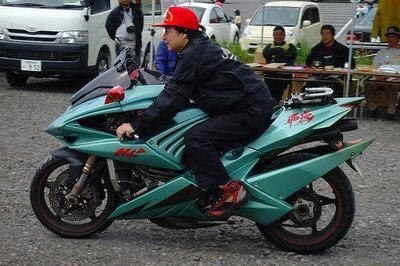 Ask MV Agusta. Having made some of the most exotic Italian masterpieces on two wheels, MV has a tremendous history in terms of making some of the most beautiful looking motorcycles on the planet. And thankfully, their lust is still going strong and we keep filling our walls with some of them. Apart from everything they make, MV also makes one-off superbikes for a few esteemed celebrities in the world and one of them is the three-time Formula One World Champion, Lewis Hamilton. The Brit has also been responsible for a limited edition Dragster model that MV created for just 244 blokes out there, and all of them got sold out within a few hours of launch: the Dragster RR LH44. Driven by continued growth and stronger-than-expected-economic growth, MV Agusta is preparing to launch three new 1,000 cc motorcycles in 2016. Company CEO Giovanni Castiglioni made the announcement during the "Gli Amici di Claudio" motorcycle rally, hinting at a dawn of a new age for the Italian motorcycle company. No specific details were given about the new machines, but they are expected to generate a lot of excitement in the sports bike segment, specifically in the manner by which MV Agusta has rebounded from its own financial difficulties to come out with renewed vigor and desire to once again stake its claim in the market. What we do know is that these new models will be completely redesigned from the ground up. 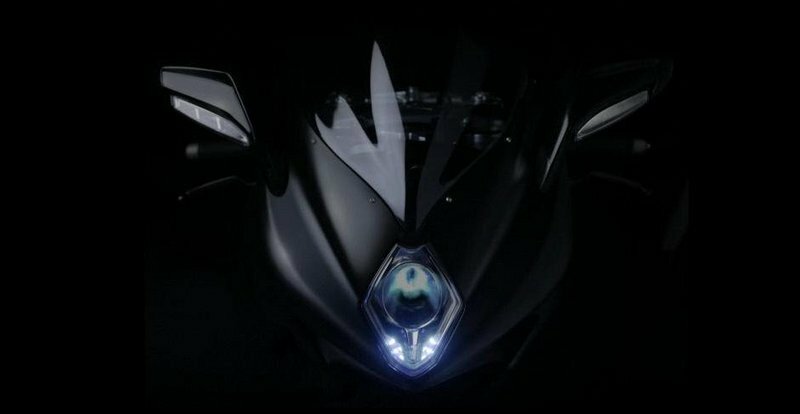 That means that they’ll most likely be all-new machines that we haven’t seen before, which is all you need to know about why Castiglioni’s announcement is generating all sorts of excitement from all pockets of the sports bike market. It’s been a while since we last saw an all-new sports bike from MV Agusta. The company has traditionally been at the forefront of design and technology for this segment so you can imagine how these machines will be received if the Italian motorcycle firm lives up to our expectations of these new bikes. The announcement of these bikes also puts a cloud on the future of the F4 and its naked cousin, the Brutale. Both machines have carried the sports bike flag for MV Agusta for quite some time now and with the company enjoying levels of success it hasn’t had in recent years, a successor to the F4 and by extension, the Brutale, could be what Castiglioni was referring to when he talked about the company’s plans to launch three new sports bikes next year. 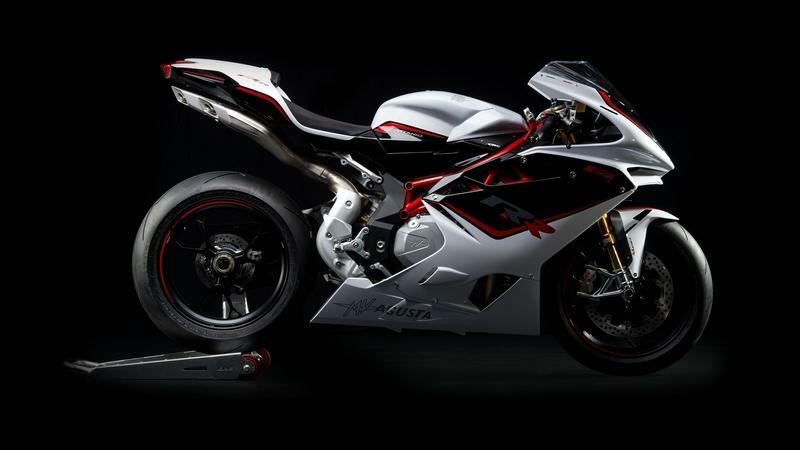 Continue reading to read more about MV Agusta’s plan to launch three new liter-class motorcycles in 2016. 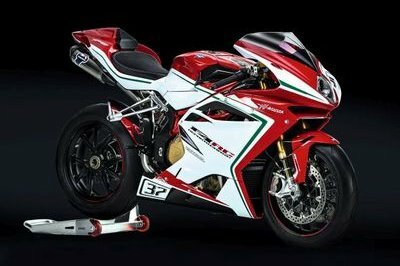 MV Agusta may be in financial distress but you wouldn’t be able to tell that after the company finally pulled the covers off of the new F4 RC. You know how you build certain expectations in your head and then reality ends up being way cooler than what you anticipated? In a nutshell, that’s the first impression I had on the F4 RC when I first saw it in full detail. There are a lot of things about the F4 RC that can be considered as special. 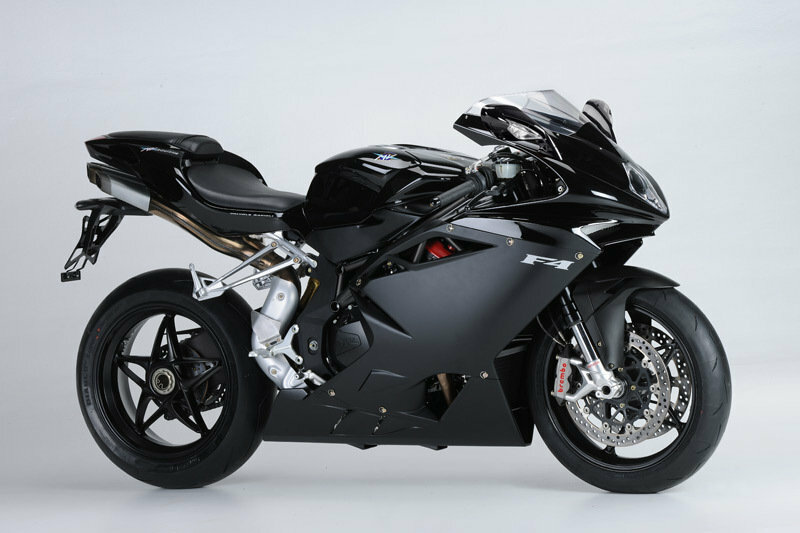 Oh, it’s special enough on its own, but given that rumors of the F4’s axing have picked up steam in the past few months, if this ends up becoming one of MV Agusta’s last F4 bikes, then we consider ourselves lucky. The superbike is a wallop-and-a-half, well and truly regarded as a more powerful version of the F4 RR, which is a blitzing ride in it of its own. Basically, the F4 RC is the closest thing to the actual bike Leon Camier will ride in the 2015 World Superbike Championships. You wanna talk about setting extremely high expectations and then living up to those promises? 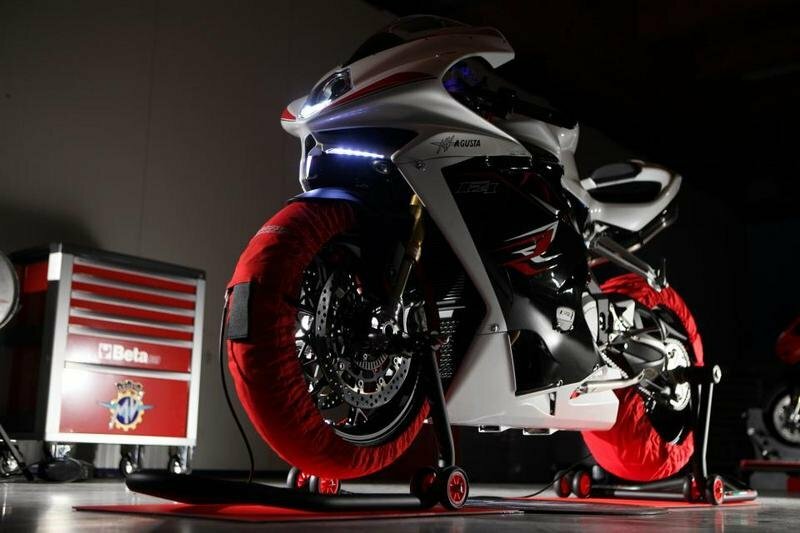 MV Agusta nailed the F4 RC right out of the park. 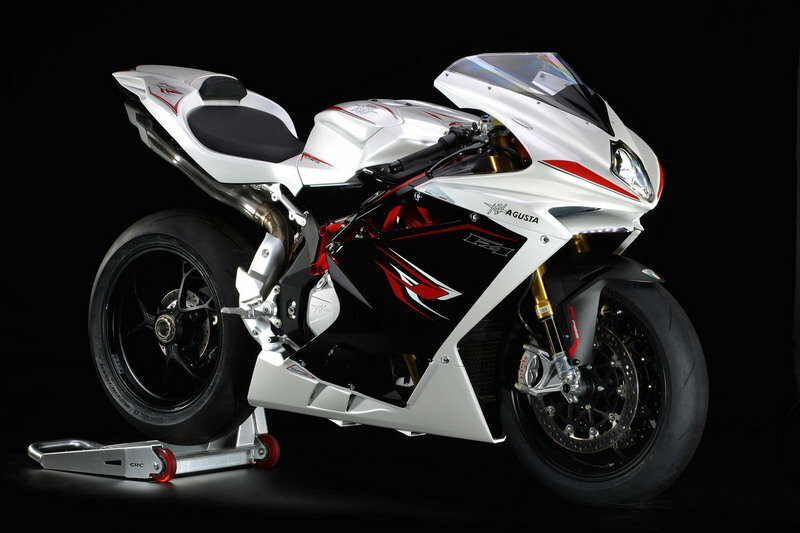 Click "continue reading" to read more about the MV Agusta F4 RC. 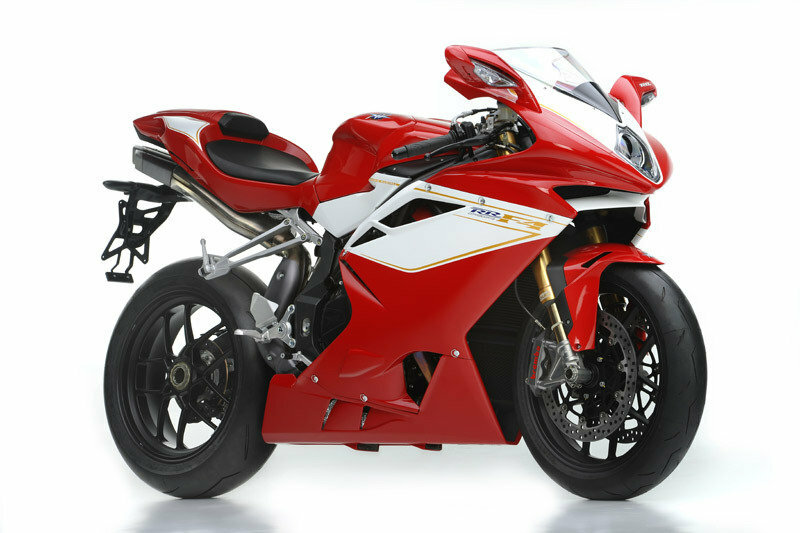 The MV Agusta F4 is one of the best sport bikes available on today’s market. It is equipped with a four cylinder, 4 stroke, 16 valve timing system “d.o.h.c”, radial valve, 998 cm3 (60.9 cu. in.) engine which develops a maximum power of 143.5 KW (195 Hp) at 13400 rpm and 110.8 Nm (11.3 Kgm) of torque at 9600 rpm. The four stroke unit is mated to a cassette style, six speed, constant mesh transmission with wet, multi-disc clutch with back torque limiting device. The motorcycle’s speed is kept under control by a two 320 mm diameter front discs with steel flanges gripped by the new Brembo Monobloc M50. At the rear there is a 210 mm diameter disc brake paired with a four piston caliper. The MV Agusta F4 is offered with a base price of € 18.140. Hit the jump for more information on the MV Agusta F4. 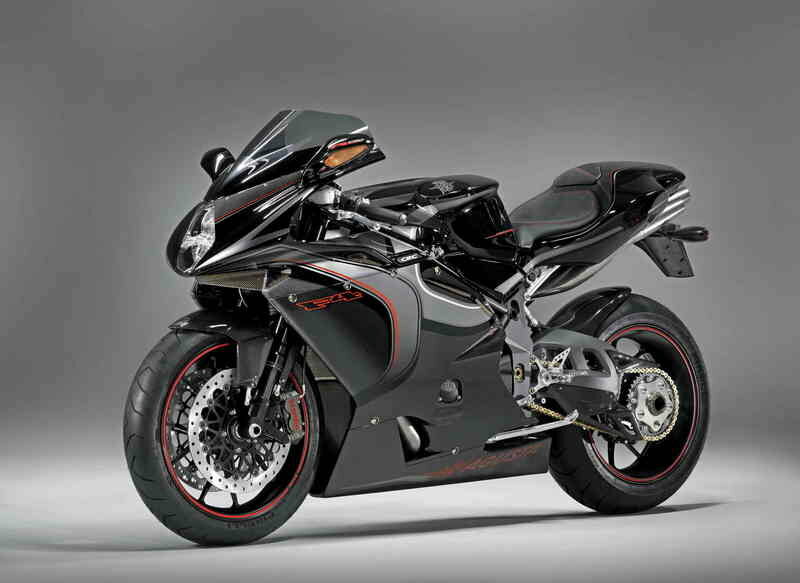 The 2013 MV Agusta F4-RR has a lot to love. For the starters it features a tasty design language which not only looks great, but was also created to maximize the bike’s ability to cut through the air. In terms of style we especially like the he front headlight which is flanked by two distinctive light guides positioned on the leading edge of the spoiler. Then there are the tasty tail lights, the light wheels and the unique style of the exhaust tailpipes. The 2013 MV Agusta F4RR is powered by a 998 cc, four-cylinder "short stroke" engine which has the peak rev limit raised to 14,000 RPM. Power is sent to the rear wheel through a six speed gearbox. The F4 RR features a host of advanced engineering solutions, which include chassis control with vehicle inertia sensors, a unique engine control with Ride-By-Wire system, Öhlins electronic control suspension and steering damper as well as GP spec titanium connecting rods. 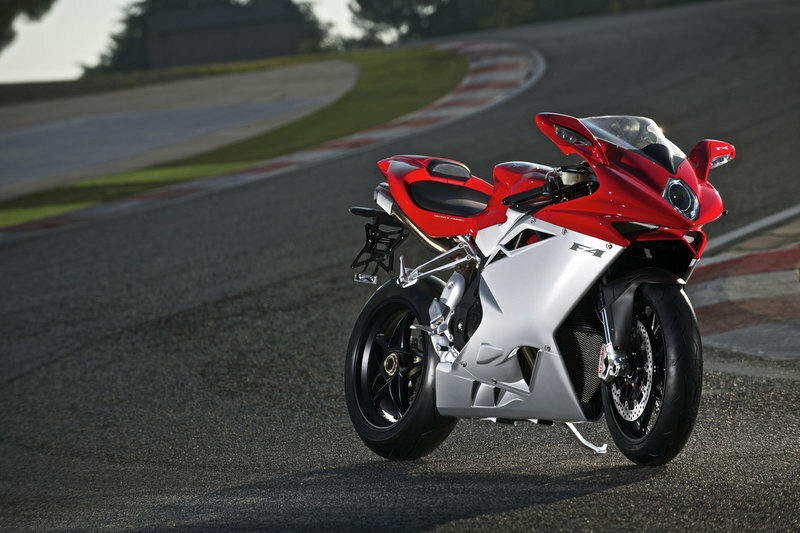 Hit the jump for more information on the 2013 MV Agusta F4-RR. The MV Agusta was built with speed and adrenaline in mind, thereby it comes with a sporty design language which helps it cut through the air effortless and a wide range of modern technologies especially developed to maximize its agility at high speeds. Among the unique features offered by the 2012 MV Agusta F4 you’ll find the advanced chassis control which utilizes vehicle inertia sensors, a modern engine control with Ride-By-Wire system, Öhlins electronic control suspension and steering damper, as well as GP spec titanium connecting rods. The style upgrades made for 2013 include a re-proportioned and lighter "signature" four exit silencer, new lightweight forged wheels and a new front spoiler integrated into the front fairing with DRL (Daylight Running Lights), and the new tail light incorporating light guide technology. 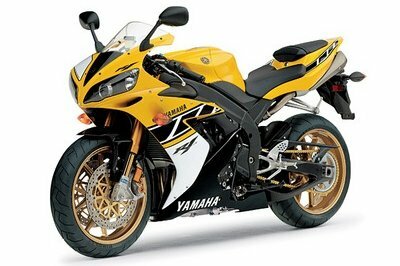 The 2013 model is considered by the company the most advanced hypersport bike on the market. 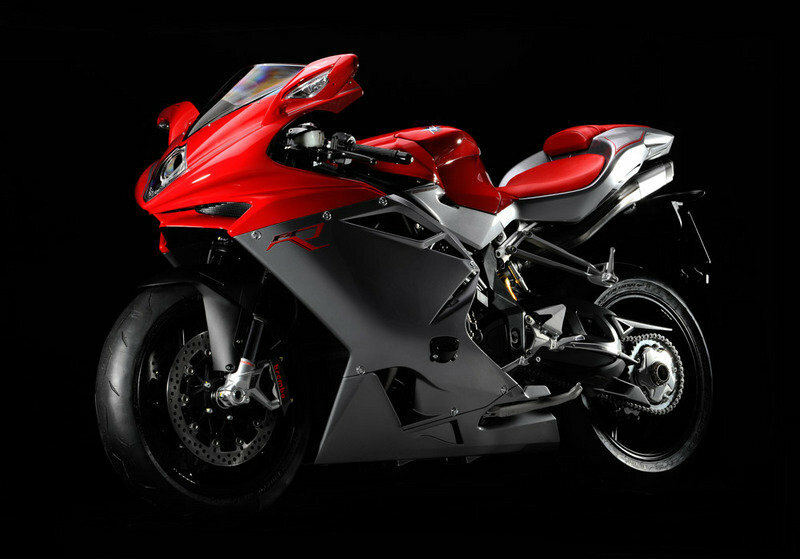 Hit the jump for more information on the 2013 MV Agusta F4. Agusta decided to completely redesign the F4 for 2013. The upgrades is more than just a facelift as the company says that it was built from the scratch as a completely new bike, so it has only a few common elements with the previous generation. Power comes from a new 4-cylinder engine, with 16 radial valves and TSS variable intake system. Moreover, MV has also integrated the new Marelli 7BM ECU which controls all of the electronic systems of the F4. After these numerous upgrades the engine cranks out a maximum power of 137 Kw (186,3 hp) at 12900 rpm. The 2013 model is built on a new chassis which is narrower, shorter and lighter. The area of the steering stem has been completely revised and the side plates have been moved forward, offering a better weight distribution (52% front, 48% rear). 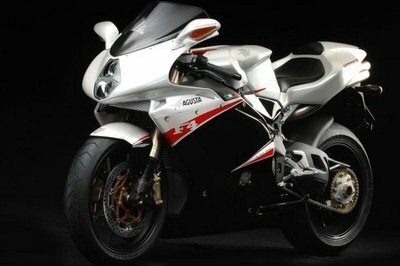 MV Agusta tried an interesting experiment and combined the F4 CC with the F4 R 312. Both bikes have sporty genes and naturally, the result is part of the sport class as well. 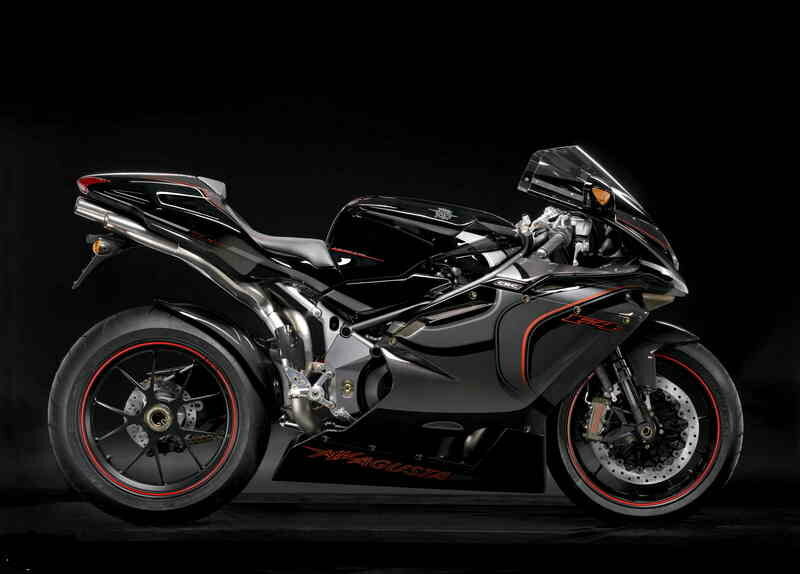 MV Agusta named its new offspring the F4 1078RR 312 and many considered it the most beautiful motorcycle in the world. The bike is propelled by a fresh four cylinder, 4 stroke, 16 valve, d.o.h.c, 1078.37 cc engine which offers a maximum power of 190 hp and 91.4 ft/lb (124 Nm) of torque at 8,200. The engine is mated on a six speed constant mesh gearbox. Talking about the gearbox, the first three gears are longer to spread the power output better at high speed and also restrain the initial surge on take-off. First gear takes the bike to 87, second to about 110 and third to nearly 135 mph, while the maximum speed is rated at 186.2 MPH. Hit the jump for more information on the MV Agusta F4 1078RR 312. The MV Agusta F4 R was designed from the ground up to deliver sporty performances. The key feature of the F4 R is the new “Corsa Corta” engine which is also offered for the F4 RR super bike. The engine delivers a maximum output of 195.2 hp at 13000 rpm and features a series of upgrades which improve its power delivery and the overall performance. For the starters the cylinder head uses completely new ports and employs larger valves both on the inlet and exhaust, while the valves are made of titanium. The bike also uses a new 4-2-1-4 primary section for the exhaust system which helps the engine breathe easier. The engine is mounted on a steel tubular trellis frame with the steering head angled at 23.5°, to offer perfect control, maneuverability, and stability. The frame is combined with a lightweight rear single-sided swingarm that weighs only 5 kg. 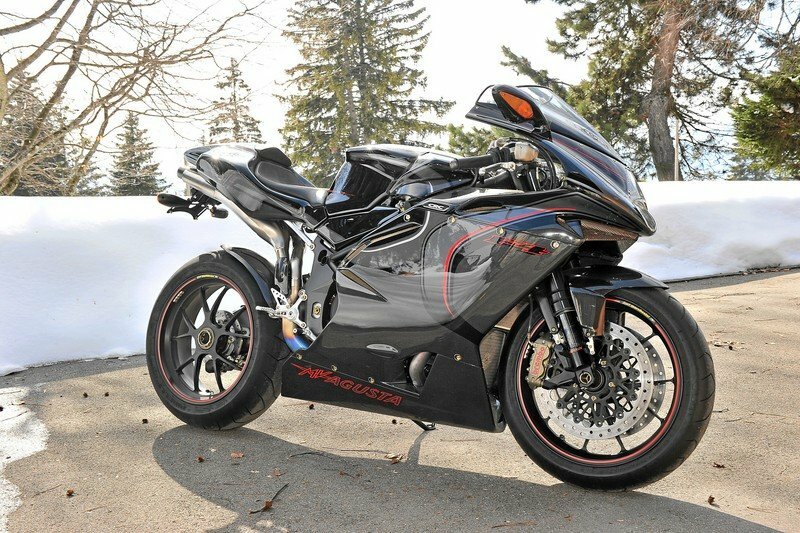 Hit the jump for more information on the 2012 MV Agusta F4 R Corsa Corta. A 200-horsepower bike is no joke and the fact that it’s a limited edition model that only carries 100 units only adds to its prestige. The MV Augusta F4CC is that kind of bike. Based on the F4, the F4CC was built in 2007 as a limited edition model in honor of the company’s founder, Claudio Castiglioni. The bike came with a ridiculous 1,078 cc engine that produced a staggering 200 horsepower. In order to achieve the increased displacement, MV Augusta increased the bike’s bore and stroke while also adding lighter pistons, stronger connecting rods, a one-of-a-kind slipper clutch, plenty of exotic materials, and a full-titanium exhaust system, resulting in a bike that weighs 8.8 lbs less than a standard F4R model. This particular model was in superb condition and only had 2,030 km of mileage. It’s no wonder that for a bike that cost €100,000 ($125,000) brand new, it was scooped up at a recent auction for €49,725, which is about $62,700 based on current exchange rates. 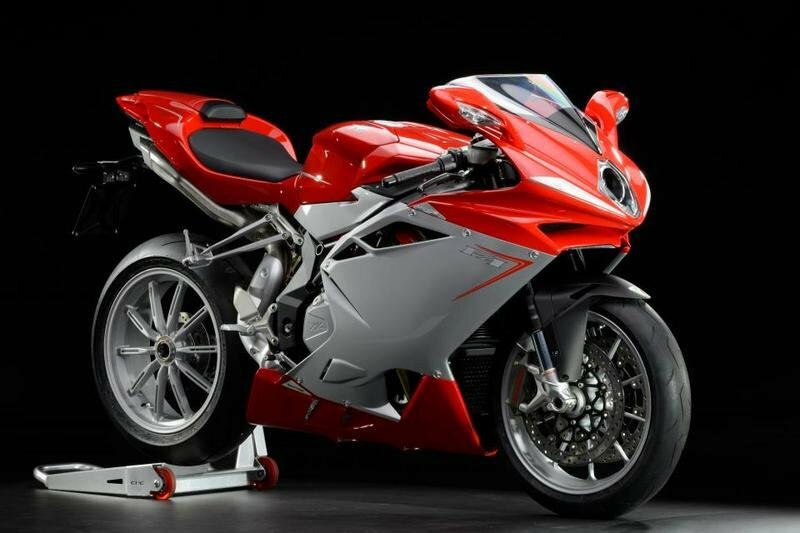 MV Agusta has released a special edition F4 in order to celebrate the end of a beautiful and very successful model. Called F4 1078 RR 312 Edizione Finale, this special edition will be limited to only 30 units, each of them marked by their custom quilted leather saddle and special identification plaque. This special edition is built on the 1078 RR 312 version and comes equipped with a 1078cc engine that delivers an impressive 190 HP and 91.4lb/ft of torque. The motorcycle comes equipped with Brembo Monoblock radial calipers; after all you’ll be needing them as the bike can hit an impressive top speed of 194 mph. 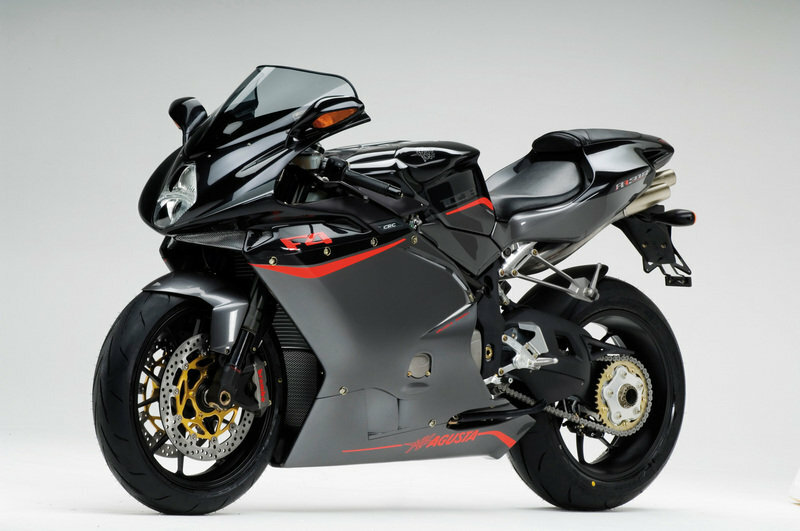 Just as a reminder, back in 2010 MV Agusta revealed another special edition F4. This time is was called "Frecce Tricolori" and was limited to only 11 units. Its true the bike in incredible beautiful, but it has one big problem: it comes in limited numbers! Admiration, astonishment, magic. These are the feelings that the exhibitions of the Italian Aerobatic Team arise, since its foundation. A cohesive group of air force pilots capable of proudly taking the Italian colors worldwide, during its long history, in conjunction with the highest level of professionalism, performance and elegance. These results are the consequence of a methodical and ongoing commitment to the relentless pursuit of perfection. Values that also MV Agusta embodies in its history, in the brand and in its men. Guiding principles it shares with the legendary "Frecce Tricolori", a common awareness of being an icon of “Italian Style”, synonymous with technical excellence and unparalleled style. To seal the common objectives, on the 50th anniversary of the National Aerobatic Team, MV Agusta dresses the most powerful and prestigious of its creations, the new F4, in the colours of the sky and of the Italian flag, producing 11 unique motorcycles in "Frecce Tricolori" livery. MV Agusta has finally released the second generation of the F4 superbike more than a decade after the original release and we came to find that the all-new machine remains faithful to the original Tamburini design. 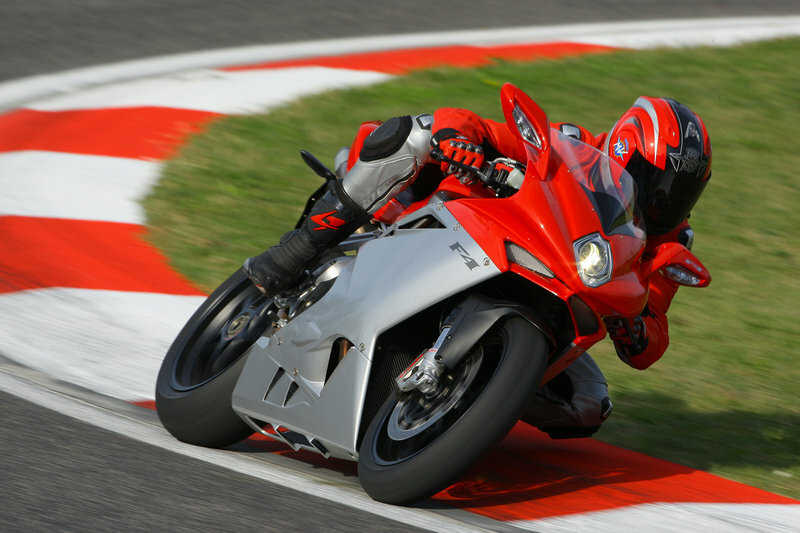 But probably the best part about the 2010 MV Agusta F4 is the fact that it now benefits of 186 hp (12 hp more than the 2009 model year), while weight is down with no less than 10 kg. So with an overall 192.5kg/424lbs (dry) and the aforementioned performance number, the MV Agusta F4 should remain the ultimate production superbike. Please read the full press release and check out the generous picture gallery after the break. 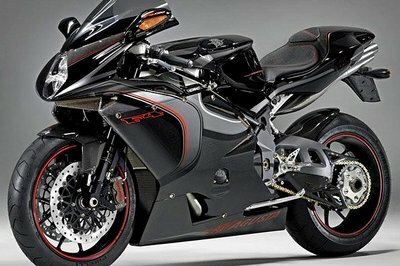 Updated 06/23/2010: The new MV Agusta F4 superbike is now available as US dealers at a price of $18,500. 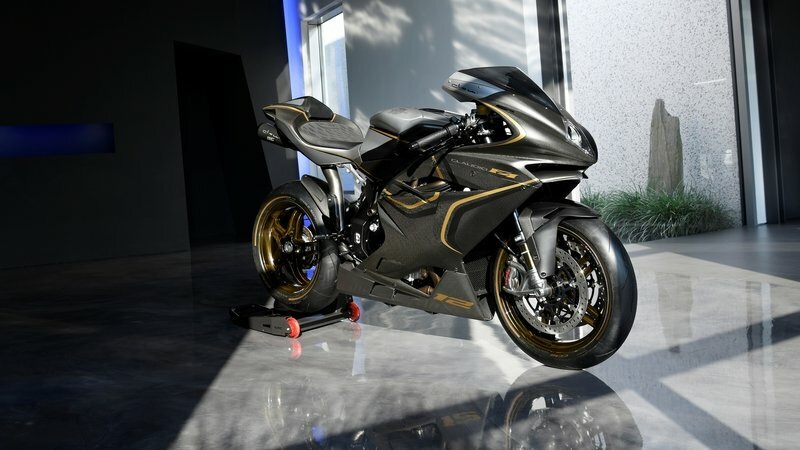 Also the company announced they have signed a partnership with MB Financial to offer a retail financing program in order to encourage riders to purchase both new and used MV Agusta motorcycles. 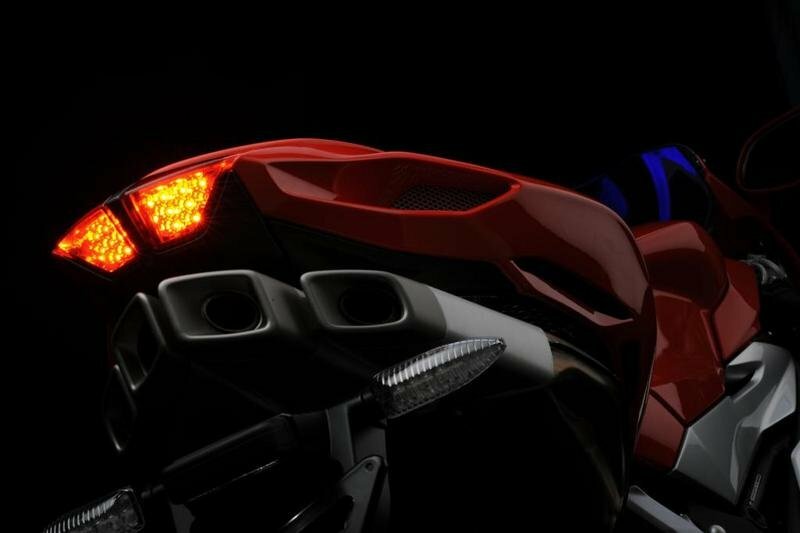 We recently brought to you the first teaser shot of the 2010 MV Agusta F4 and we’ve just got our hands on a second sneak peek of the new Italian superbike. This comes together with the official press release, from which we find that the engine develops 186 horsepower at 12,900 rpm, connects to the gearbox through a slipper clutch and is harnessed by an eight-way adjustable traction control system. This Italian exotic motorcycle heads to EICMA for sure, so we will bring to you the full specs and, hopefully, a generous photo gallery revealing the slightly redesigned bodywork in the day of the launch. Read the press release after the jump. 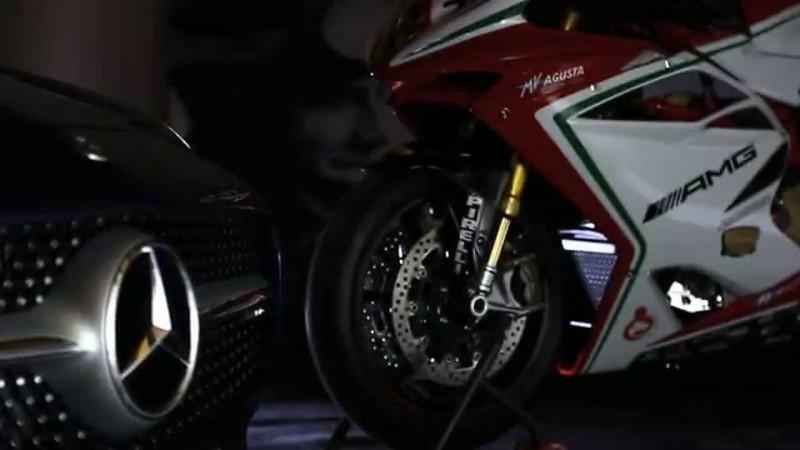 Italian manufacturer MV Agusta has today presented a teaser shot partially unveiling the 2010 version of the F4 superbike scheduled for the official launch on November 8. 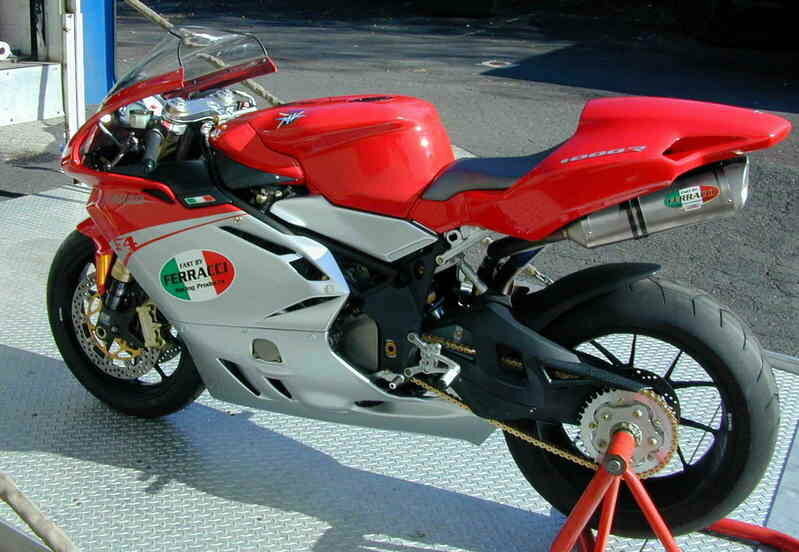 Given the fact that the 1998 model was designed by Massimo Tamburini and has withstood the test of time, the front end is mainly unchanged: the diamond headlight has the same shape, but now contains LED running lights and a single large projector lamp, the windscreen now blends better in with the fairing and it is much sharper at the base. The shot also reveals restyled mirrors, which we like. Expect to hear more about this model as information becomes available. Meanwhile, you can check out the new MV Agusta Brutale models. 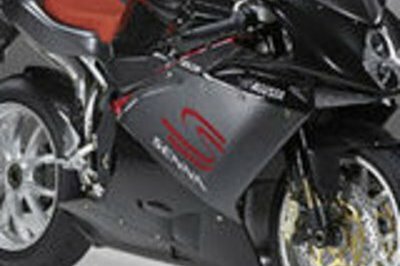 MV Agusta hasn’t yet started to inspire their F4’s fairing on UFOs, but their users have and this is a very successful design that was spotted at the 2008 Asama Meeting in Japan. The modifications are as pointless as they are obvious, but I believe that they do give a new meaning to the saying ‘razor sharp fairing’. Still, that guy looks like being pregnant with the gas tank = Not Cool! Ever wondered why limited edition motorcycles exist? If you did so, the answer to your question could come by reading an article published in the online edition of the New-York Times. Entitled “A Motorcycle For Moguls”, the article refers to those bikes that you an me can’t have, but which often make a good subject of talk for us. 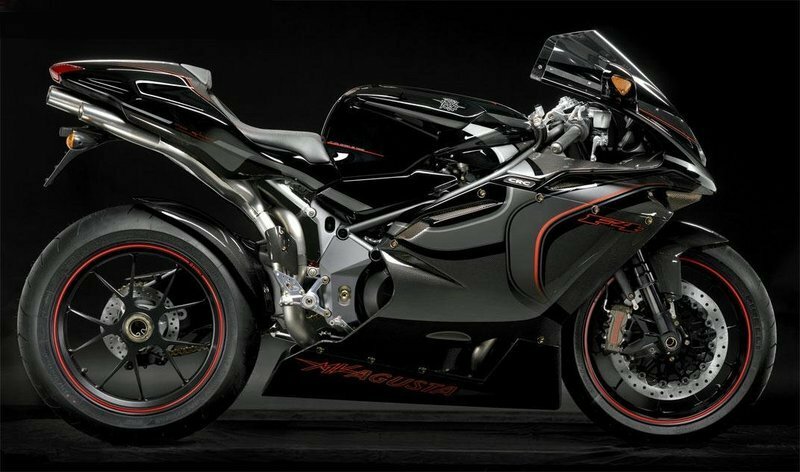 Outrageously-priced two-wheelers such as the MV Agusta F4CC ($120,000) or the Ducati Desmosedici RR ($72,500) make you wonder about the technology and materials implemented, but as you hear that you can get the same rush on bikes that are eight time cheaper, you really don’t know what to think. Has the world turned upside down? The answer is strongly related to each manufacturer’s marketing strategy, which in this cases tends to be the same: produce 100 limited edition models and sell them to those who want to feel special and satisfied of not being rich for nothing. Then the limited edition model’s success will reflect on the simple models of that same manufacturer (something that tells me they’re pretty much the same) and sales numbers increase, leaving everybody satisfied, even those who can’t afford the one with the long figure as MSRP. Free advertising is also a thing of great importance as limited edition motorcycles not only fill up pockets with money paid on them, but with those saved from paid advertising. So next time you read about a limited edition model, think about these aspects and notice how you’ll start appreciating normal bikes more. But until then, read the New-York Times article. 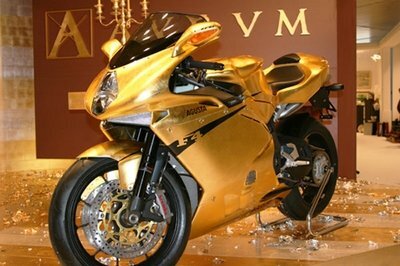 An Mv Agusta made out of gold? Why would anybody do that? 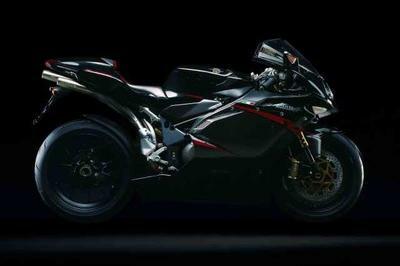 Well, the Mv Agusta F4 RR 312 is beautiful and triumphant, indeed the most quality build series motorcycle in the world and in order to celebrate that the maker decided to be a little more eccentric this time so the idea materialized into what you can see in the pictures. Entirely covered in 24 karate gold, the Italian bike can literally be considered a jewel. Having the dimensions of 80 x 80 - which means a total of 5 meters - the gold sheet was applied by hand and I guess we can say that this is THE bike that looks like moving even at a standstill. Expensive and laborious work was put into the F4 RR 312 and the refined project came to live thanks to the collaboration with Aurum which provided the precious metal for the even more precious bike. As you can suppose, the art work was done in Italy, country which also gets all the recognition for this wonder. 3 days of testing in Valencia have confirmed the important steps forward that have been made with the SBK version of the MV Agusta F4 1000 R312. The Team, the MV Agusta technicians and Luca Scassa (the official rider for 2008) have given 110% and completed all the development program while testing several new components. All the hard work has paid-off and given important indications on further development steps and improvements. 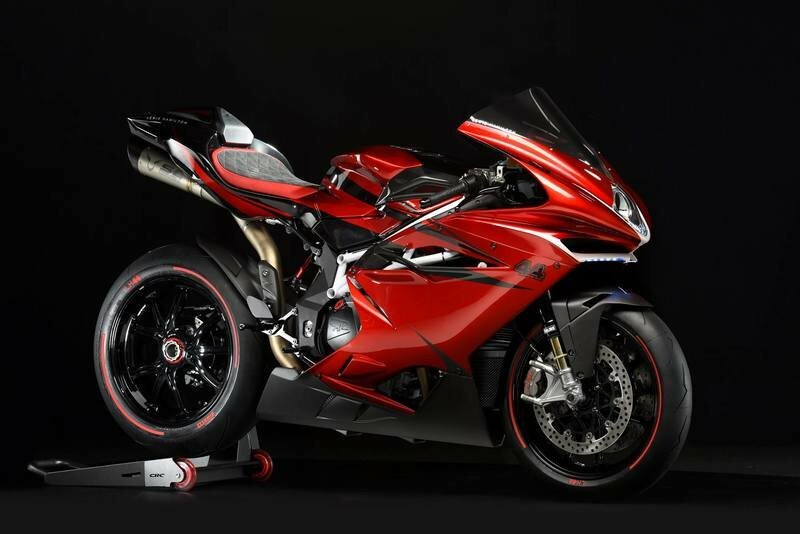 With the ambition of one accustomed to winning and the self-confidence of a company with all the knowhow in the world, MV Agusta have “crossed” their two latest creations, the F4 CC and the F4 R 312. They have made the ultimate cocktail of power and controlled aggression to once more unleash the beast also known as “the most beautiful motorcycle in the world”. 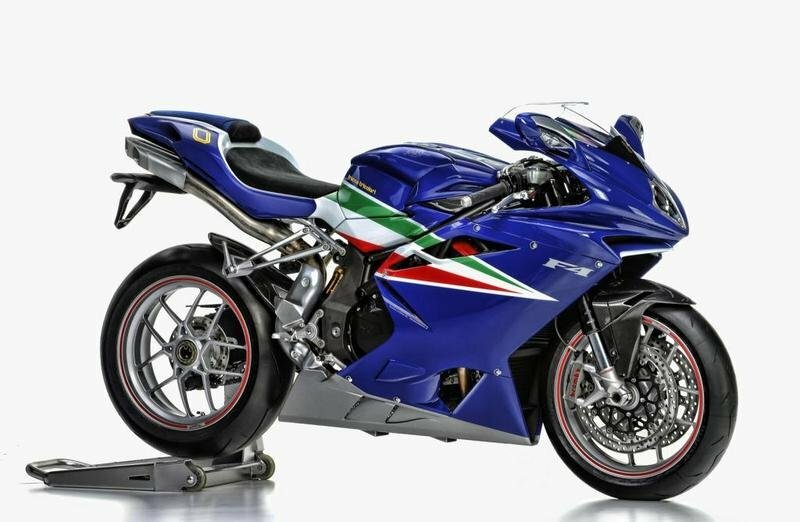 When we talk about Italian sports bike we think about power, speed and beauty. But also a lot of “ifs” and “buts” cross our mind when we compare them to the Japanese sports bike, for example Suzuki or Honda models. If back in the ‘70s there was nothing on the road to compare with the Ducati 750SS, in the ‘90s the Italian sports back were long behind the Japanese motorcycle. 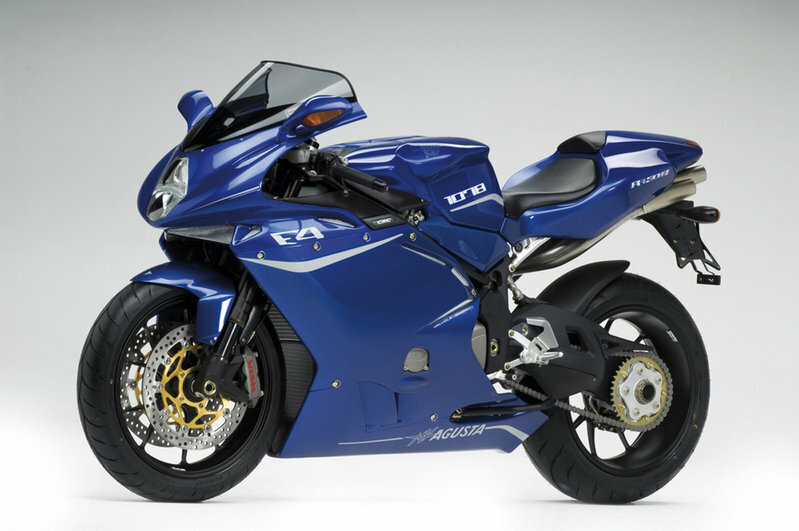 But this was about to change when in 1997 MV Agusta launched the F4S at the Milan show. Years of painstaking work, never-ending research and the pure passion and professionalism of all the MV Agusta engineers won them the prestigious MASTER BIKE competition that this year took place at the Jerez circuit in Spain. The evolution of racing bikes is the result of many small steps. The underlying concept is never abandoned, rejected or turned upside down. It is only meticulous little changes that finally lead to perfection. 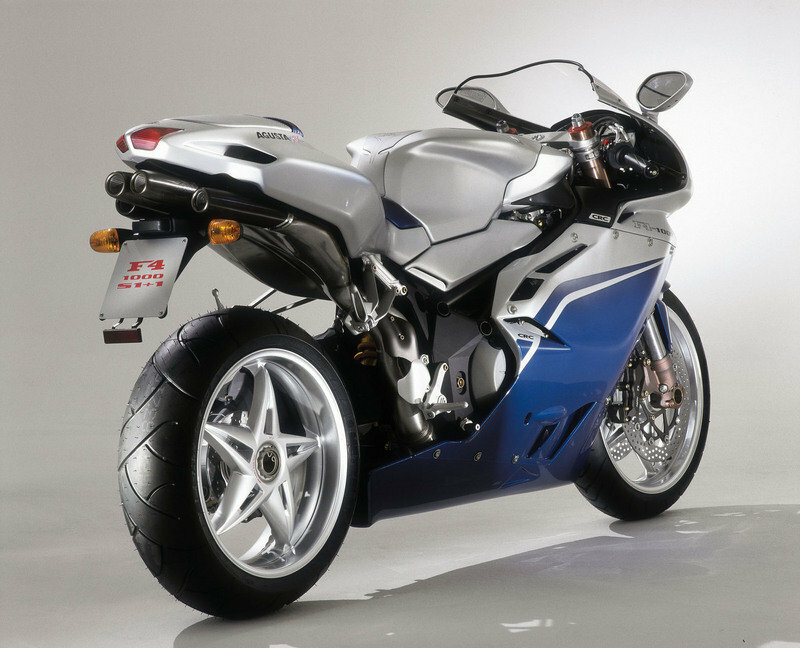 It is for this very reason that the F4 has made history for sports bikes and gone on to become a legend. The British were pioneers at many things. Some were pleasant and enjoyable, like motorcycles, others not so much, like imperialism. At the very zenith of their motorcycling days, they had performance and handling, but they missed many other things – like oil-tight engines, the ability to make more power after they hit the ’plateau,’ and the ability to consistently imbue their machines with soul. 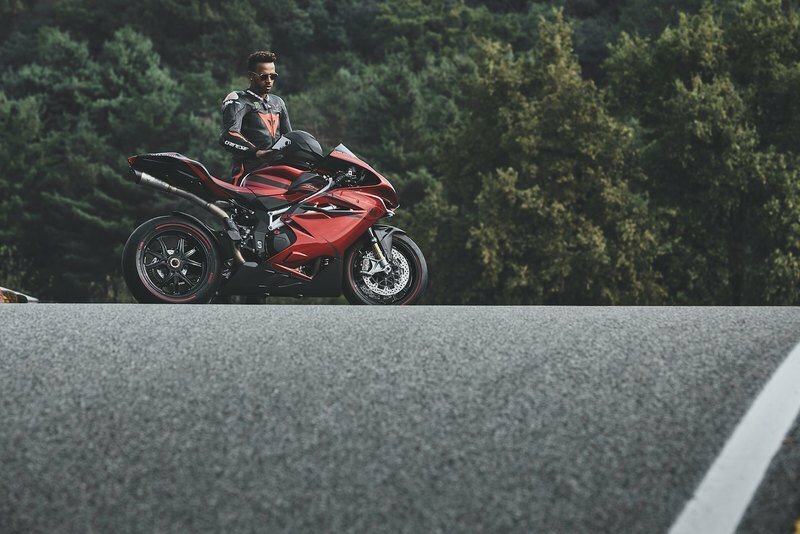 Cagiva USA invites all MV Agusta enthusiasts to witness the East Coast premiere of the MV Agusta F4CC at the Cycle World International Motorcycle Show this weekend at the Jacob K. Javits Center, New York, NY. Current MV Agusta owners will be able to enter a reserved area for an up-close look at the F4CC, as well as the Cagiva Mito 500, a prototype model currently on tour with the MV Agusta exhibit. "Dear MV Agusta Enthusiasts, Cagiva USA would like to take this opportunity to cordially invite you to witness the first public appearance of the 2007 MV Agusta F4CC at the Cycle World International Motorcycle Show this weekend in Long Beach, CA. Current MV Agusta owners will be able to enter a reserved area for an up close look at the F4CC. The MV Agusta F4 CC (Named after MV Agusta Motor S.p.A, Claudio Castiglioni) will be limited to 100 built. 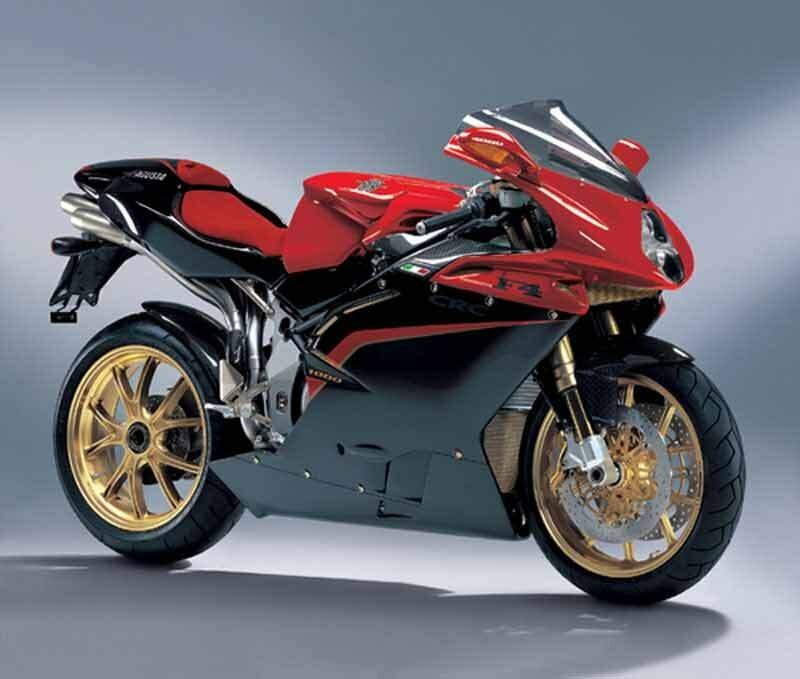 MV Agusta to release new colors for the 2007 lineup? Rumor is that the 2007 lineup for the Brutale 910 S, Brutale 910 R, and the F4 1000 R will include a few more colors. Particularly, a white and black F4 1000 R, orange Brutale 910 S, and a white and black Brutale 910 R.
Here are the latest photos of the Ferracci’s MV Agusta F4 1000 R Race Bike being used in this upcoming week’s testing. 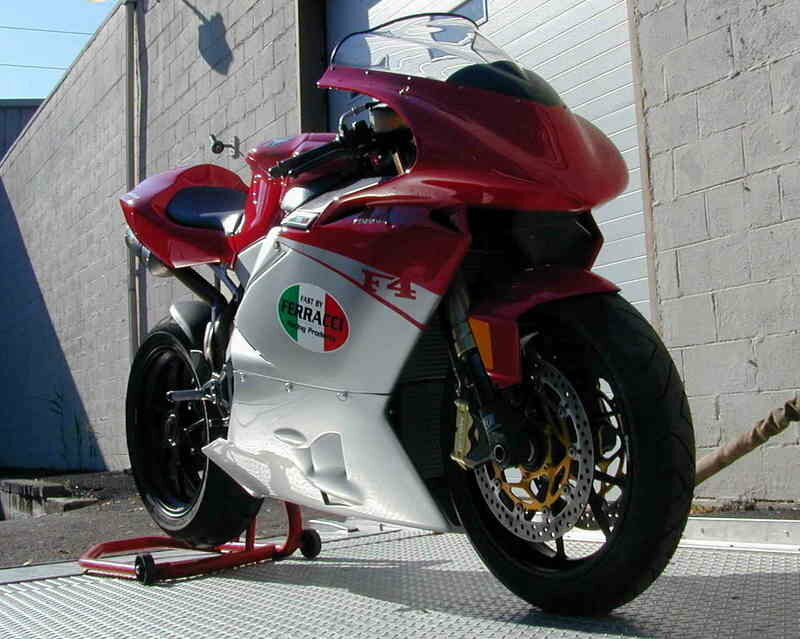 For more info on MV Agusta F4 1000 R, click this link. The F4 is a legend dedicated to motorcycle style and technology. It is the symbol of beauty on two wheels and reflects the inspiration and understanding that has enlivened its designers in defining this motorcycle cult object. It is a design and technology specimen in constant evolution; reaching, with the new F4 1000S, its synthesis of performance and emotional limits. The star of this new machine is the new powerplant able to express a domineering 166 horsepower strength. A strength that permits the F4 1000S 1+1 to cleave the air and reach a speed that opens doors to a new legend: that of the most beautiful and fastest motorcycle in the world. New MV Agusta 37 world championship logo on the airbox back. F4-1000 Senna: The legend of speed has its heroes. These are champions who have shattered records, pulverized pole positions and fast laps and faced all kinds of challenges. They live in our memories, remembered by the races they ran and the cars they drove. However, there are exceptions: when we think of Ayrton Senna, we do not remember him by the symbols of his success; we see the portrait of a man. We see the image of a champion in a league of his own, who not only won three world titles (1988, 1990, 1991) and 41 Grand Prix, but who was also able to carry us on the wave of his emotions like no-one else. This is because Ayrton defied speed -not just his opponents. He was attracted by the beauty of velocity and challenged it with unswerving faith. Close to the less fortunate, fair to his adversaries, Senna always drove with his heart, always allowing the man to cross the finish line before the champion.